Register with Lattice, to get access to all of their free services. Connect a Lattice compatible JTAG cable, start the Lattice Programmer, press „Detect cable“ and make sure that it works. Create a new project for the correct Lattice FPGA, for now that is the LCMXO3L-4300E-5UWG81CTR50. Enter your source, your design constraints, test… A neat introduction may be a Verilog book or this Youtube video. Click Process — Rerun All. Locate the JEDEC (*.jed) file that was exported. Create a blank project, and in the right bar choose „Custom I/O settings“ and „ispEN connect: high“. Connect TDI, TDO, TMS, TCK, GND directly. Connect the Programmer VCC pin to a VCCIO pin on the FPGA board (i.e. 3.3V in default configuration). 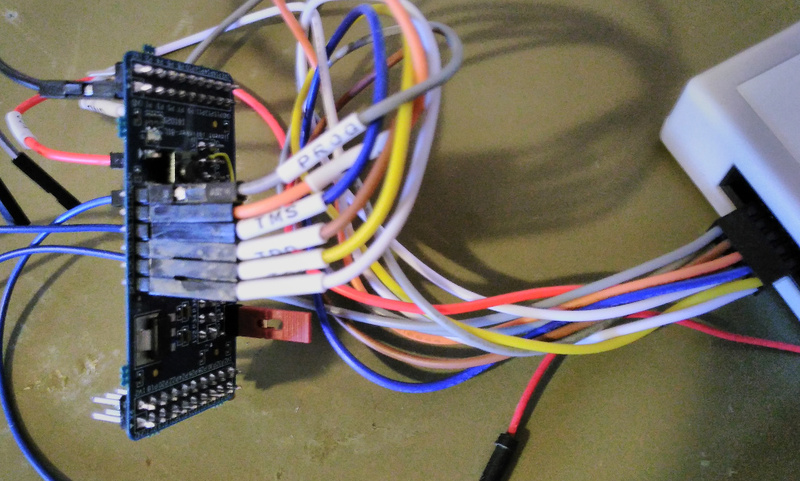 Connect the Programmer PROG pin to the JTAGEN pin on the FPGA board. Don’t worry about the INIT or TRST signals from the Programmer, you do not have to connect them. Supply the board with power. Click the „JTAG Scan“ button. After the device was correctly recognized, choose „Erase, Program, Verify“ as operation and select your *.jed file. Be careful: NVCM programming can be done only 9 times. For software testing, use Static RAM Cell Mode instead. The program is then reset after the next power cycle, however. Here’s some example Verilog source to flash an LED at 2 Hz. The enable jumper needs to be plugged in on the board.